Download latest official TWRP for Samsung Galaxy Phones. Do you want to root your Android device? Do you want to install custom ROMs? To implement these tasks, all you need is the best custom recovery. TWRP (Team Win Recovery Project) is the only recovery that has grown rapidly over a short amount of time. It is preferred over ClockworkMod (CWM) recovery only because of its advanced features and seamlessly easier interface. With the help of TWRP for Samsung, you can root your device, install latest custom ROMs like Cyanogenmod, LineageOS, Resurrection Remix etc. Along with that, it even supports thousands of phones and tablets, and its touch-based interface makes complicated tasks look pretty easy. 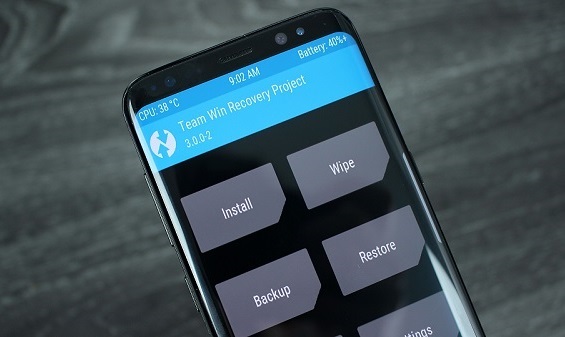 For Samsung phones, TWRP recovery is generally installed using the Odin tool. Odin is a popular software which is widely used for flashing official stock firmware, CF-Auto-Root for gaining root access and much more. We’ve mentioned a detailed tutorial on how to install TWRP for Samsung devices. Check it out. How to install TWRP for Samsung Android phones. Below is the list of TWRP recovery download links for all Samsung Android phones. The list contains all official and unofficially built TWRP recovery for almost all Samsung devices. You can hold Ctrl+F on your keyboard to locate your device. If any of the above links have stopped working, then contact us using the comments section.